Waltham, Mass.—November 5, 2013— BlueSnap today announced that CEO Ralph Dangelmaier will participate as a speaker at the NOAH Conference 2013, held at Old Billingsgate Market in London on November 13-14, 2013. Mr. Dangelmaier’s presentation about “Optimising shopper to buyer conversions in a global ecommerce economy” is scheduled to begin at 15:00 on the 13th of November. Interested parties can sign up here. As a veteran in the payment industry, Mr. Dangelmaier will look into the new world of eCommerce 3.0 and cover industry trends and best practices to grow a global business. He will also discuss maximising one-time and subscription revenues, ways to leverage new and emerging local payment methods to drive shopper to buyer conversions and strategies for frictionless web and mobile checkout experiences. BlueSnap helps companies monetise on a global scale, connecting merchants to a worldwide network of payment processors and helping to convert more shoppers into paying customers with a localised and translated checkout page with one-click purchasing, helping to avoid immersion disruption and maintaining the integrity of the shopper experience. The NOAH Conference is a specialised business-focused conference, presenting Europe’s leading private and public Internet companies to over 2,000 C-level internet executives from over 25 countries. The event has over 80 industry leaders debating the state of European Internet in keynotes, interviews, panels, company presentations and interactive audience Q&A. This year’s conference theme is: “How Big Can It Get”, which will aim to assess the potential size of certain market segments as well as specific company opportunities. Confirmed speakers this year include: Klaus Hommels, Oliver Samwer, Martin Enderle (Scout24), Oleg Tscheltzoff (Fotolia), Rolv Erik Ryssdal (Schibsted), Errol Damelin (Wonga), Jean-Baptiste Rudelle (Criteo), Carl Shepherd (homeaway), Stan Laurent (Photobox), Tobias Ragge (Hotel Reservation Systems), Uri Levine (Waze), Jens Begemann (Wooga), Rubin Ritter (Zalando). 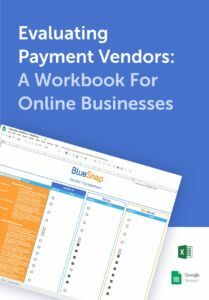 BlueSnap is a smarter international payment gateway powering the checkout process for eCommerce merchants worldwide, and fueling growth for online businesses serving digital, physical and mobile markets. BlueSnap has reinvented the checkout experience by combining the power of these key components: Intelligent payment routing, seamless storefront integration, global payment processing, award winning smart subscriptions, mobile optimization, and dynamic marketing tools for up-sell at checkout. Like the Ark, “NOAH” represents new beginnings, group spirit and diversity. The NOAH Conference was created by NOAH Advisors, a pan-European Internet-focused corporate finance boutique. Since its launch in 2009, the NOAH Conference has grown into the preeminent European event where Internet entrepreneurs, executives and investors gain deep insights into the latest proven concepts, network with senior executives and establish new business relationships. Known for its focus on numbers and profitable business models, the event is also about interacting with speakers, being inspired, and having fun. For more information, please visit www.noah-conference.com.